What if, instead of sitting on your phone on the sofa ordering stuff from Amazon, you could buy the same things locally from local stores that ultimately enliven and enrich your local neighborhood? What if by doing that, you wouldn’t be walking through deserted main streets, past boarded-up shops, dark alleys and graffiti? What if someone created a marketplace for independent businesses, local events and experiences that kept the money in the local economy rather than being siphoned off into global giants who don’t care about human-scale communities? That’s the idea behind Pixie, a new take on the “shop-local app” startup model which, although it’s been tried before, has never quite managed to take off. Perhaps Pixie will have more luck? Here’s how it works: The Pixie app connects people to independent businesses through a curated marketplace, incentivizing them to pay through the app and get rewarded for being loyal customers. Integrated into the app is Pixie Pay, a bespoke payment solution which keeps money in local hands. The startup has a fascinating background. Whilst serving in the British Special Forces, Pixie’s founder Greg Barden understood that his mission was also to ‘win hearts and minds’ with the local population. Whether by buying bread from the local baker in a village in Afghanistan, or coffee from the market in Baghdad, he and his soldiers could tear down even the most hostile barriers. He also realized that when more money stayed inside these the local economies rather than being sucked away by organized crime or large scale, globalized businesses, the local economy might flourish and the risk of the societies there becoming yet again destabilized could potentially diminish. 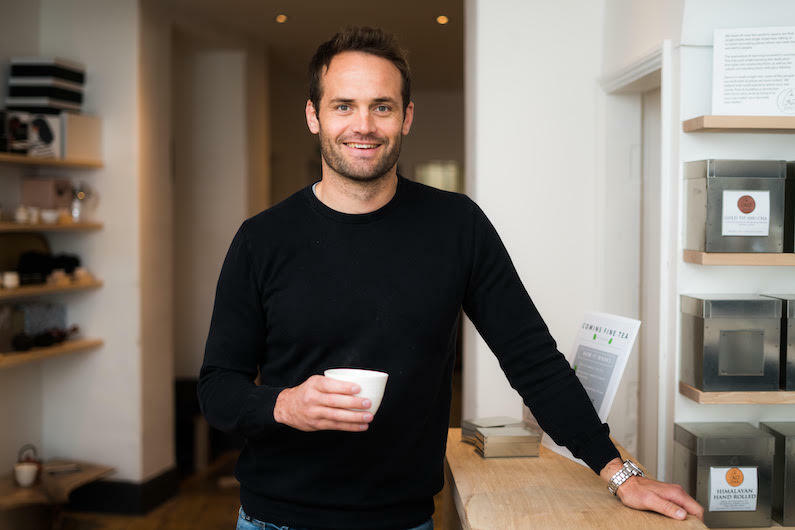 Pixie has stress-tested its idea in mid-sized town in the UK, including Bath, Frome and Sherbourne, completing transactions across 250 businesses, ranging from cafes to fashion boutiques, and spinning up 5,000 app users. It’s now going on the fund-raising trail, aiming to raise £500,000 in funding through its ‘Equity for Explorers’ campaign on Crowdcube a UK-based crowd-equity platform. The total addressable market for independent business in the UK is estimated to be £31.5bn in gross transactional value. Pixie’s revenue comes from transaction fees taken when people use its ‘Pixie Pay’ payment mechanism. The payment system is designed to bypass Visa/Mastercard at the point of sale, whilst the loyalty scheme unites independent businesses under one umbrella, so the users can earn and spend their loyalty points (as money) across the entire Pixie community. If a store using Pixie is in Australia, a person from Bath could also use their points there. This keeps the money circulating inside local, independent stores, wherever they are on the planet. Pixie distributes its own payment terminal that sits next to whatever the business has in place to take normal card payments (iZettle etc). The cards are contactless but don’t utilise visa MasterCard. It’s literally their own e-money system. Think PayPal where users can either add money to their balance by debit card or bank and/or link a debit card to Pixie if they don’t have a balance. Obviously this also creates it an alternative to competitors like iZettle, Square, SumUp and WorldPay, but this time specifically aimed at local independent stores, not huge national and international chains. The third element of Pixie is its discovery marketplace that gives its community of explorers (users) the ability to discover local businesses across the Pixie footprint of stores. I’ve seen several startups try and tackle this problem, but it may well be that Pixie, under its charismatic leader, finally has a shot at cracking this idea around local markets.